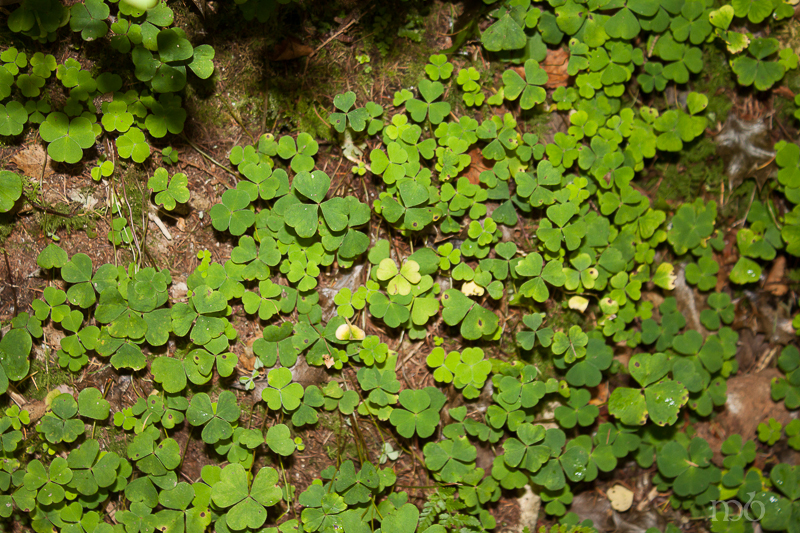 The old County Tyrone legend states that if you sit in St. Patrick’s Chair located in the Altadaven Wood, and make a wish – that wish will come true within one year. Mine did. But I’m not telling .. because you’re not supposed to tell. You’re supposed to keep it all to yourself. 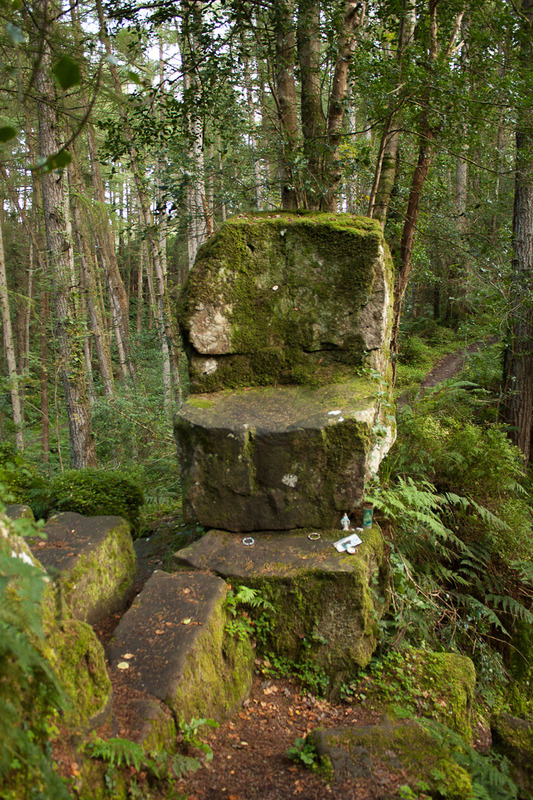 This throne-like chair is carved out of one huge hunk of rock, and how it got placed so high on a cliff-like edge of the path through the woods is anyone’s guess. It’s been there for centuries. So what once was pagan became Christian. And what once was a center for druidic ritual became a center for prayer and Christian devotion. Today, tokens left behind at the site suggest both Christian and non-Christian people come as pilgrims to this powerful site. There is a definite separation of energy at the entrance to Favour Royal Forest – as it used to be known. The entrance to the forest is a defined edge, with a keen sense of power. It’s a crossing, an opening into place with different energy. 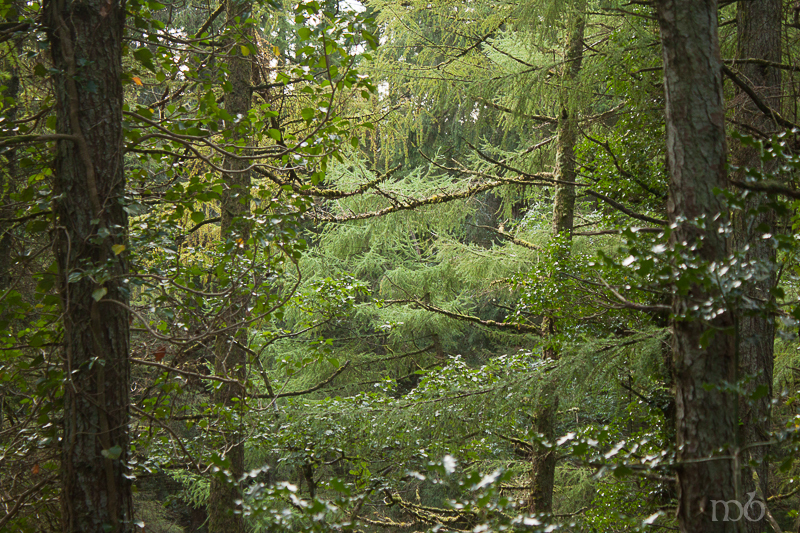 The forest is thick and damp and the trees tall and slim with feathery leaves. The path is lined with ivy and fern. 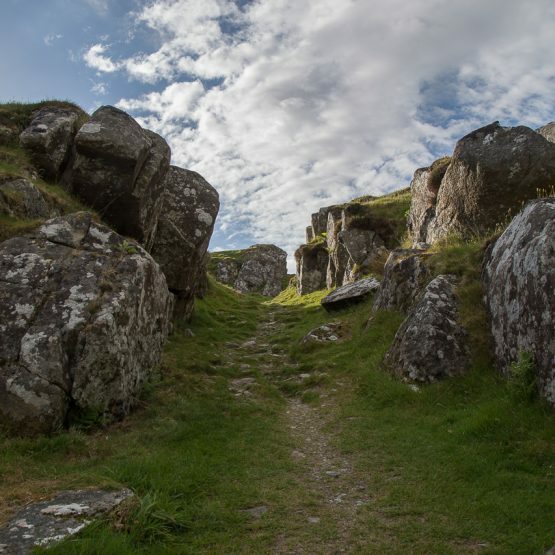 It is part of an old road called the Sliabh Beagh Way that runs across the countryside. 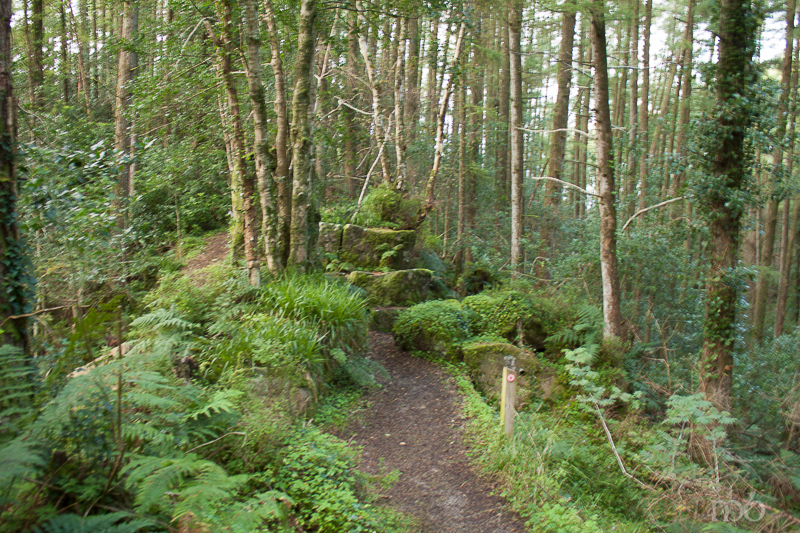 It’s long been known as and enchanted road, and the forest around this part of the path is still referred to as the Fairy Green. It ascends to Pinnacle Rock which is where the Chair is. I knew that we were on our way to see St. Patrick’s Chair because a friend brought me there. But I wonder how travelers would feel who didn’t know it was there – they were just walking this ancient path feeling the closeness of the trees and the energy around them… and then …. 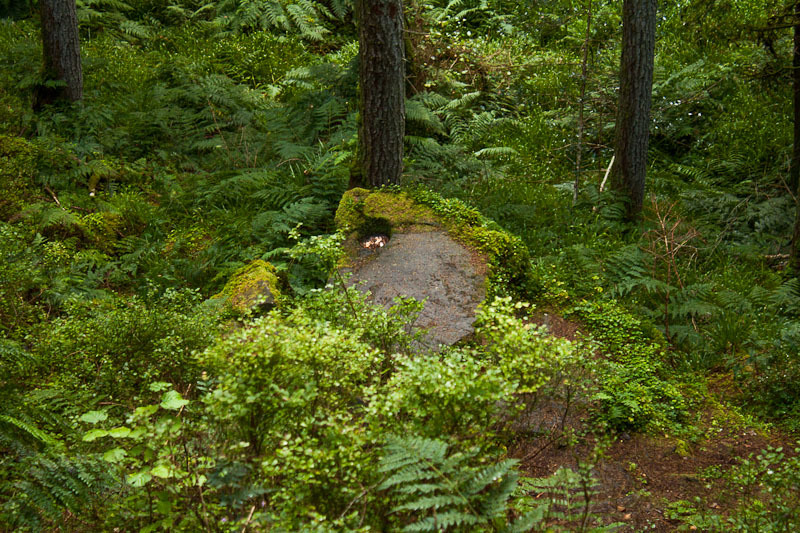 at the top of a rise they see this throne-like chair, six feet high, hewn from a boulder. And suddenly they know this is some special place. Some amazing place of resurrection. From the chair there is a steep path leading down to another massive rock, this one with a small well carved out. 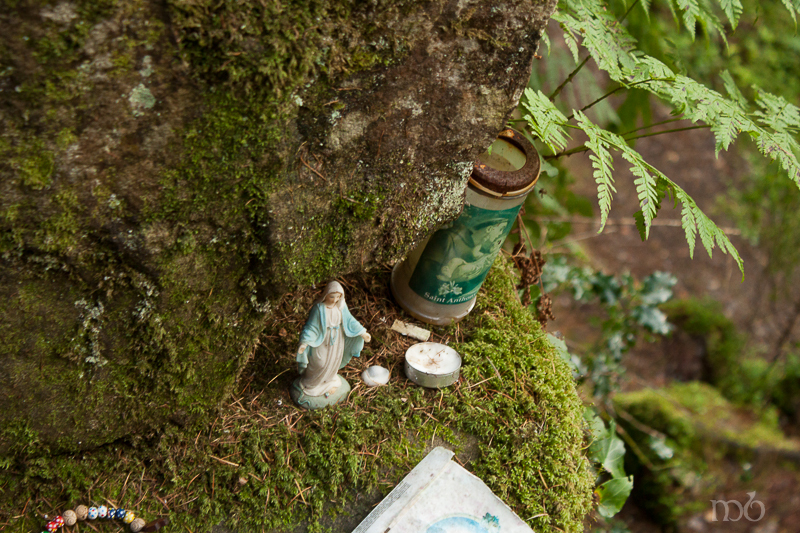 There is water in the well and the path is lined with clooties and rags left behind by people who brought burdens to this holy well. They say the well never runs dry and that the water has healing properties. Others say the rock with the bullaun is covering an open chamber. Tokens have been placed on the chair by pilgrims. Rosaries, holy cards, medals, statues, coins, a candle. The air is thick with wishes and dreams both recent and ancient. So many hopes are left to rest on St. Patrick’s Chair. If you visit St. Patrick’s Chair, be sure to make your own wish. But don’t tell anyone. The air around this place is charged with an energy that is no so gentle but more powerful, thick with presence. And the beauty of the forest is stunning. So much of Ireland is rock and open fields and rolling hills. A forest that one can easily walk through is a special to find. If ever there was a portal into the world beyond this on, it would be here. 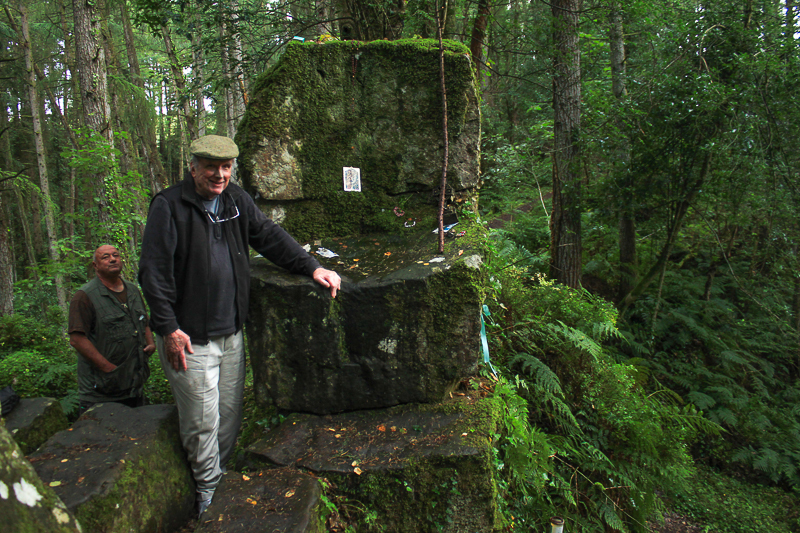 St. Patrick’s Chair and Holy Well are on the 2014 Discover the North Tour of Ireland.